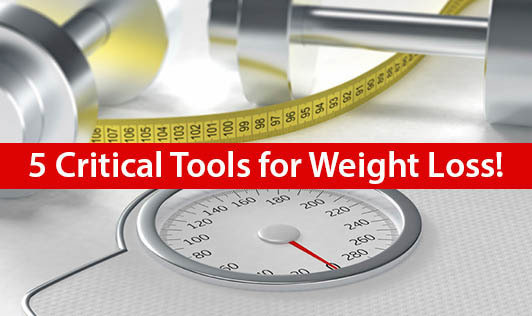 5 Critical Tools for Weight Loss! Mostly many people face a problem of weight gain at some point in their lives and consequently their struggle to lose weight. There is always a reason that provokes us to lose weight. It can be our doctors advice, or some special occasion like marriage or just may be because you realize you are not fitting into your favorite clothes and some people actually do it for good health! Weight loss can be made easy and achievable with these 5 tools. Diet Plan: This fantastic tool helps you battle your excess weight efficiently, provided you follow the diet prescribed by your dietician religiously. A good diet plan not only helps you lose weight, but also keeps you healthy in the long run. So do not forget to mention everything about your food habits and lifestyle when you talk to your dietitian. Your dietitian can give you a tailor made diet prescription which can suit you just perfectly. Exercise Plan: Your weight loss plan will never work as desired without this! Make sure you have a proper exercise plan that suits your body type and stamina. Make exercise a religion and do it regularly. Research shows that, in addition to helping you control weight, regular exercise can reduce the risk of several diseases and improve your overall health. Food Diary: It helps you track your food indulgence and keep a record of your dietary details. It helps you record what you ate and drank; focus on your portion size. It helps you record your food intake on your indulgent days. In addition to tracking your diet, you start following a healthy food pattern. Do not forget to share the information with your dietitian as she can guide you better to lose weight the right way! Weighing Scale: It is a good weight loss tool to measure the progress of your weight loss. But don`t be obsessive about doing it frequently. Just use it to watch if you are losing weight consistently. If you notice irregular changes in your weight, inform your fitness expert and dietitian, so that they can set it right for you. Measuring Tape: An inexpensive tool, a measuring tape, in addition to your weighing scale can help you manage your weight loss program better. Four parts of the body which indicate inch loss are chest, waist, hips and thighs. For effective monitoring, keep measuring these body parts once in 15 days and note the difference from the previous one. This is fun, motivating and pushes you towards your goal! If you are yet to start off with a weight loss program, use these tools effectively and see how easy it is to lose weight.